KRINGELHOF houses in the fashionable gentlemen farm from 1850, in the picturesque village of Outer, centrally located between the cities of Ghent and Brussels. 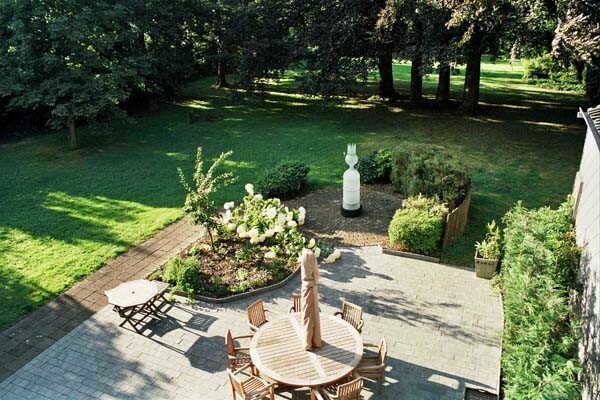 KRINGELHOF is the ideal base for walkers, cyclists and nature lovers who want to explore the the green valley of the Dender and the Flemish Ardennes or who wish to visit several cities from here. 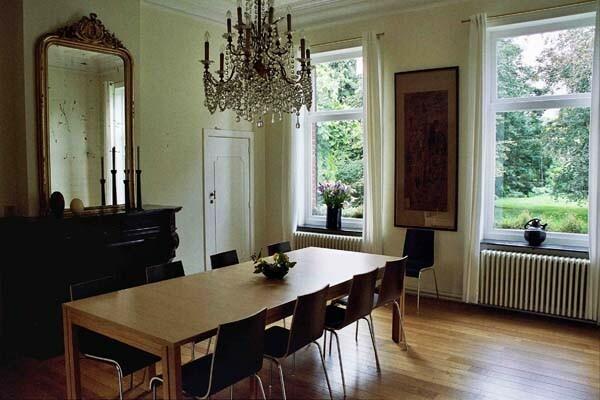 The house is also the ideal place for people who wish to withdraw in order to enjoy peace and quiet or wish to study or work here. 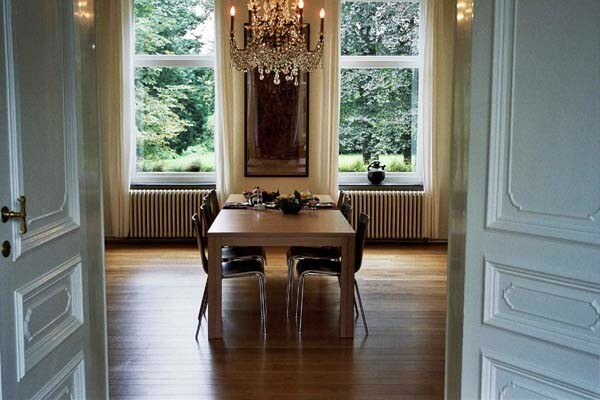 KRINGELHOF lets two cozy guest rooms for one or two people, each with a private bathroom, toilet and wireless Internet. You will be warmly welcomed by the hostess Francine. The rooms have decorated with much sense of style and harmony. In each room you have a double bed with duvet blanket, a large desk, built-in storage cabinets, a cd/radio/MP3-player, wireless Internet and a beautiful view of the courtyard. Also you have a separate toilet and your own private bathroom with tub & shower, two wash-basins and a little bench comfortable to dress. In the morning you can enjoy Francine's extensive breakfast with homemade organic bread, fruit and various delicacies in the dining room or in the garden. Francine has led for years an organic bakery where up to 40 types of bread were offered to the customer. 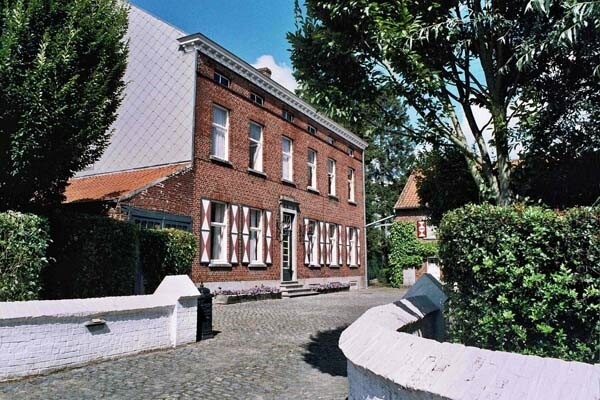 Het huis is prachtig gelegen, mooi ingerichte kamer en confortabele badkamer, mooi onderhouden tuin, leuk terras, en gezellige tv-ruimte. jammer dat we bij aankomst niet even wat te drinken kregen: een glas water na 60 km per fiets zou welkom zijn geweest. Ook op de kamer niets van drank te bespeuren..het glas wijn dat we ergens bij andere beoordeling vonden, was aan ons niet besteed. Het ontbijt was lekker en verzorgd. Did you stay in Kringelhof? Let us know what you thought about it and help others to make the right choice! * I confirm having stayed in Kringelhof. Find other bed & breakfasts in Outer, all bed & breakfasts in Scheldeland or all bed & breakfasts in East Flanders.